Basking Ridge, New Jersey | October 22, 2010 | Lynne A. Davis, Health and Wellness Coordinator for Verizon Wireless, has been recognized by Elite American Educators for showing dedication, leadership and excellence in all aspects of personal training and lifestyle management. Ms. Davis has ten years of experience as health and wellness coordinator for Verizon Wireless. Her expertise is in coaching, personal training, and wellness and assessment testing. Previously a flight attendant with United Airlines, she rediscovered her passion for teaching after being assigned to train new staff. She returned to college and completed her internship at Verizon Wireless where she was hired soon after graduation. 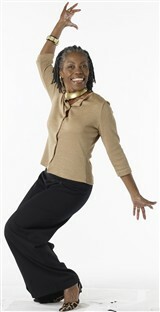 Since graduating, Ms. Davis has been educating people about becoming healthy and leading active lifestyles. She has been instrumental in coordinating onsite mammography screenings for employees nationwide and received a Heartsaver Award from the American Heart Association for saving the life of a co-worker. Honored by Cambridge Who’s Who as a Professional of the Year in 2008, she attributes her success to her determination and to her parents, who encouraged participation in sports and other health and fitness activities. An alumni of Montclair State University, Ms. Davis holds a Bachelor of Science in Health and Physical Education. She is also a Certified Pilates Instructor. Her professional affiliations include Power Pilates, Sara’s City Workout, and ECA World Fitness. Ms. Davis became active in breast cancer awareness 20 years ago when her best friend was diagnosed and, in her honor, continues to participate in Susan G. Komen for the Cure and the Avon Walk for Breast Cancer. She also gives generously to the Battered Women’s Shelter, the Community FoodBank of New Jersey, the New Jersey Coalition for Battered Women, Dress for Success, Career Gear, the American Diabetes Association, and the American Stroke Association. Ms. Davis plans to promote men’s health awareness at Verizon through the introduction of onsite prostate screenings and by increasing the number of male memberships in the health and wellness center. She looks forward to becoming a Stott Pilates Certified Instructor.